Integrated Child Development Scheme (ICDS) Vijaynagar, Dist. 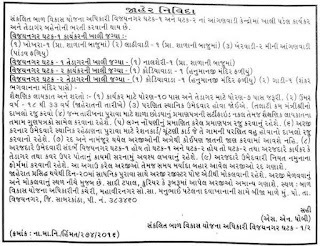 Sabarkantha Published Recruitment Advertisement for Anganwadi Worker and Anganwadi Helper Posts. 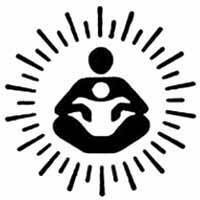 Send Application to This Address : Office of Integrated Child Development Scheme Officer, Mahavir Nagar Society, Opp. Manubhai Patel Dispensary, 2nd Floor, At. Vijaynagar, Ta. Vijaynagar, Dist. 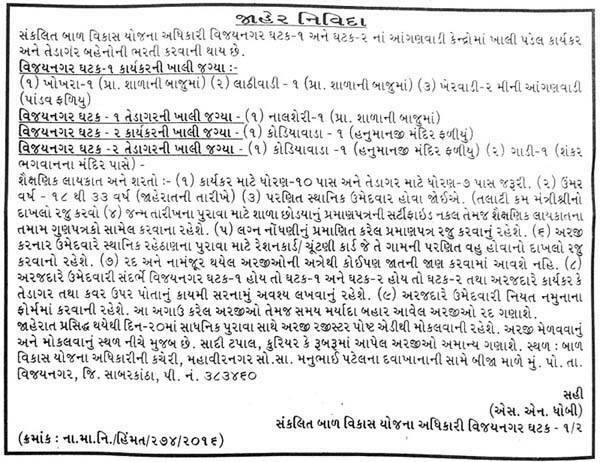 Sabarkantha - 383460.